Featuring Beyond Good and Evil 2, a new Assassin's Creed, and many more! 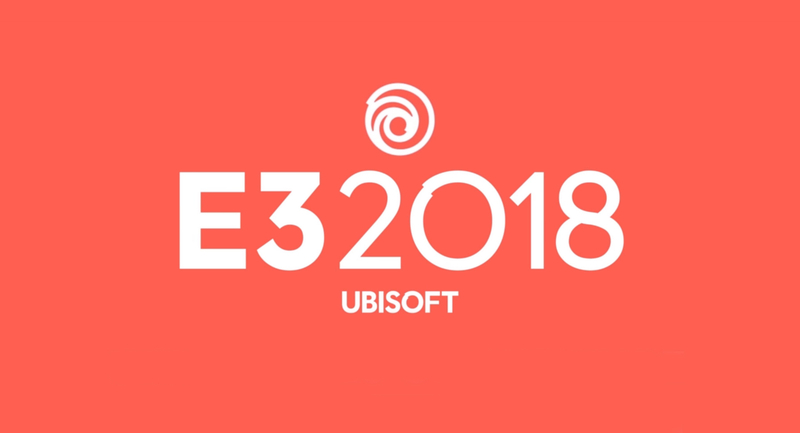 Sure, there weren’t any big surprises at the end of Ubisoft’s E3 2018 press conference, as Ubisoft mostly stuck to the lineup that they announced prior to E3. That didn’t mean it was a bust though, in fact it was a solid press conference, complete with enough new content and game demos to satisfy gamers who stayed up all night to watch. Ubisoft kicked off their E3 show with an awesome dance number! It wasn’t all for show though, as it lead up to the announcement of Just Dance 2019. Now that’s how you open up an E3 press con! Ubisoft followed the Just Dance reveal with an extended feature on Beyond Good and Evil 2. Firstly, they showcased a brand-new cinematic trailer just for E3 2018, followed by some pre-alpha gameplay. Though the biggest news regarding BG&E 2 is the Create-and-Collaborate Project in partnership with HitRecord. The project will enable creators from all over the world to contribute art and music to the game. Up next is the return of the Trials series with Trials Rising. An announcement trailer was shown during Ubisoft’s E3 show, and it had everything a Trials fan can ask for, including balls-to-the-wall motorcycle courses! The Division 2 got some more love at Ubisoft’s press conference, as a new cinematic and a new gameplay trailer was released. The Division 2 is set seven months after the first game, and the USA is in a state of civil war. As for gameplay, the Division 2 is getting eight-man raids, along with free DLC. Are you a fan of anything and everything pirates? If so then this game is just for you! Ubisoft released a cinematic and a gameplay trailer for Skull & Bones, an upcoming tactical action game set in the world of pirates. The game takes cues from Ubisoft’s own Assassin’s Creed IV: Black Flag, and will have a team-versus-team multiplayer mode. If sailing the high seas isn’t enough for you, then why not go for the final frontier? Starlink: Battle for Atlas (which was announced last year) enables players to pilot cool spaceships and explore the Atlas system — the game’s open world. As a special treat for Nintendo Switch fans, Ubisoft announced that the Switch version of Starlink will have exclusive Star Fox content. Elijah Wood took the stage in Ubisoft’s E3 press conference to introduce Transference, an upcoming psychological thriller title that’s designed for VR. The game is a collaboration between Ubisoft Montreal and Wood’s SpectreVision label, and it will combine puzzles and cutscenes played by real-life actors. Ubisoft closed out their E3 2018 with the world premiere of Assassin’s Creed Odyssey. As you may have guessed, AC Odyssey is set in Ancient Greece, and will be the most RPG-like entry of the series to date. Aside from the announcement trailer, gameplay footage of AC Odyssey was also shown. While these were the biggest highlights of Ubisoft’s E3 conference, there’s some other news that flew under the radar. These include The Crew 2 Open Beta, the Another Mindset esports documentary, Donkey Kong Adventure for Mario Vs Rabbids, and For Honor updates. With this lineup, you dare not miss Animax’s Signature Event!